Rolling hills line the Horsing farms and Spanish style country estates of Rancho Santa Fe. Amid the scenic wealth, lies something unexpected, a belief many locals share that San Dieguito Park may be haunted by one of its early pioneers. Rancho Santa Fe was once an 8,000 acre ranch and estate of Juan Maria Osuna named Rancho San Dieguito. Juan Maria Osuna was a one-time corporal at the Presidio and the first mayor of the tiny pueblo of San Diego. 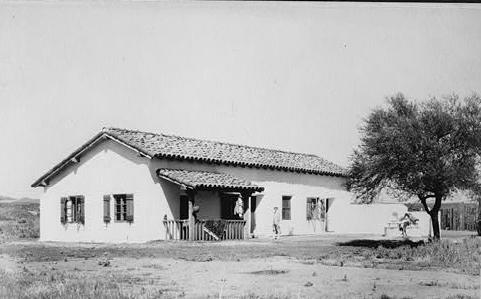 Osuna’s ranch house, a mid sized adobe built in 1845, was bought and renovated a century later by singer, Bing Crosby. Jaun Osuna’s oldest son, Leandro was known for his fiery disposition, a character trait that likely aided him at the Battle of San Pascual where he saved the life of commanding general, Andres Pico. Leandro struggled in peacetime and was consumed by extreme fits of rage and anger and often violently lashed out against the local Indians. The Indian locals reacted by serving Leandro a (non lethal) dish of cactus and human bones. Leandro learned about the tainted food and was convinced that he was doomed to a lingering, painful death, Leandro chose a soldier’s way out. He shot himself. The legend of Leandro’s ghost was born, but is the park haunted? In October 1991 Union Tribune staff writer Lonnie Burstein interviewed Park Supervisor Ed Ybarra, who commented, “Unless he’s the one that keeps coming out here at night and leaving those Dom Perignon and Chivas Regal bottles.” Leandro Osuna, whose restless spirit is said to roam the grounds on horseback, in the early morning hours didn’t appear for Lonnie during her visit. Phantom sounds of horses, horse riding and a mysterious cloaked figure on horseback are some of the common claims associated with San Dieguito Park.